Now that we've 'solved' JF, who's playing Threadhead Thursday and the Patry? Gotta keep up the momentum! Where is misSeebass when you need her? Will there be a TH Thursday? It's a different beast with that being a Fairgrounds day. misSeebass is still working the crowds for NFL playoffs. I suspect she'll be around shortly. Yes - something. Details haven't been finalized yet. Will s/he be following the Saints to Atlanta? S/he he wants to, but is looking for a sponsor. You interested? Keep it on 1st Thurs., move the start back a bit? The NO Nightcrawlers aren't at the FGs this year, a possibility? Or maybe for Patry? I vote for Threadhead Wednesday. It would seem weird on a Fest day. Patry request - Grayson Capps. Pretty please. Fairly new guy here...what's the 'patry"? Maybe he can bring his Sugarcapps friends along! 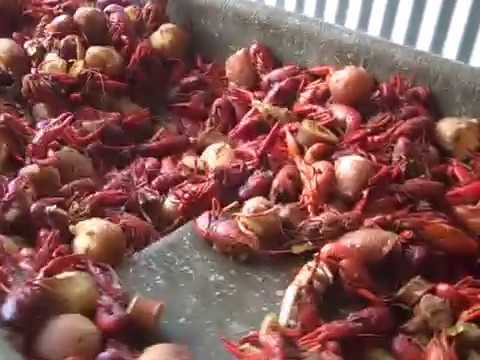 We feel like it's the deal of the fest-With the price of your ticket-$85 last year-music from noon to 9, all you can drink beer, water, cokes, moonshine, wine, brunch if you get there early enough, all you can eat crawfish and zatarains (a sponsor) dishes. Enough room to spread out-standing room up front and chairs at the back. And it, along with our amazing raffle, raises money for our charitable work. Always Tuesday between.